Sooooo, as I may have already mentioned....a couple of times......I GOT A SEWING MACHINE FOR CHRISTMAS- thanks so much Pete and Nanny!!! As you may guess, I AM REALLY EXCITED ABOUT THIS!!!! I always loved machine sewing and have got a GCSE in textiles, but since I moved out of my parents house I haven't had access to a sewing machine. No, don't get me wrong, when I did have access to a machine it wasn't like I was using it all the time (quite the opposite really! ), but since I have become craft obsessed a sewing machine seemed like the next step forwards. Additionally, as I have wrist problems from crochet I thought it would be a great way to satisfy my need to create whilst giving my wrists a break! I have booked myself on a dress-making course in March (going to learn how to make a vintage-style shift dress and I can't wait!) but in the meanwhile I have just been messing about a bit and trying out new things which I hope to share with you. 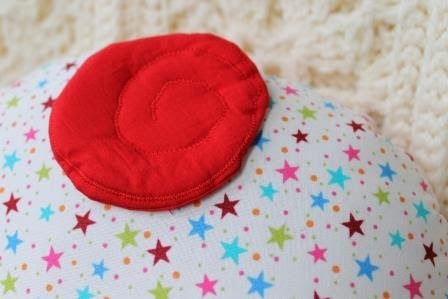 My first sewing project was an idea I came across whilst thinking what to do for my youngest sister's 19th Birthday at the end of the month. When she passed her A-Levels I made her some cupcake bunting, so I thought something along those lines. 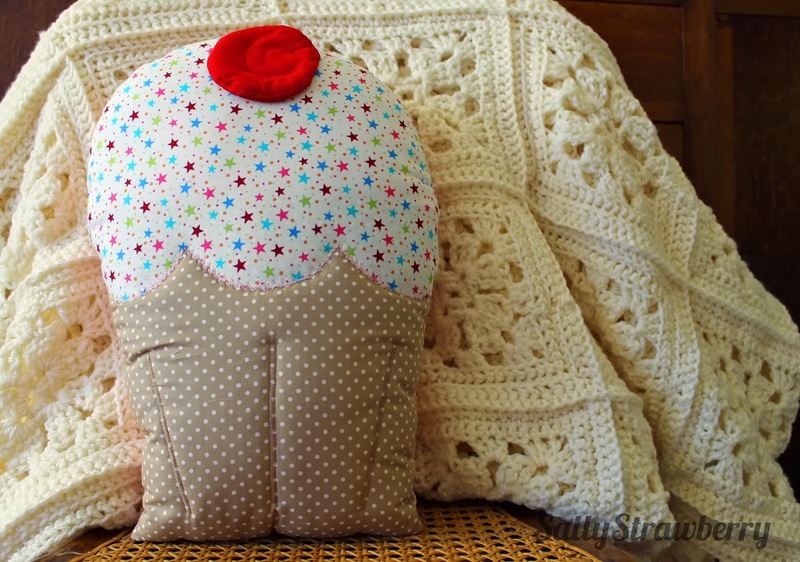 I didn't want to start off with anything too small and fiddly and after some deliberation decided to try out a cushion. After a quick Google and Pinterest search I couldn't find anything similar to the design I had in mind so I had to go it alone and draw up a pattern. Bring on the grease-proof paper! 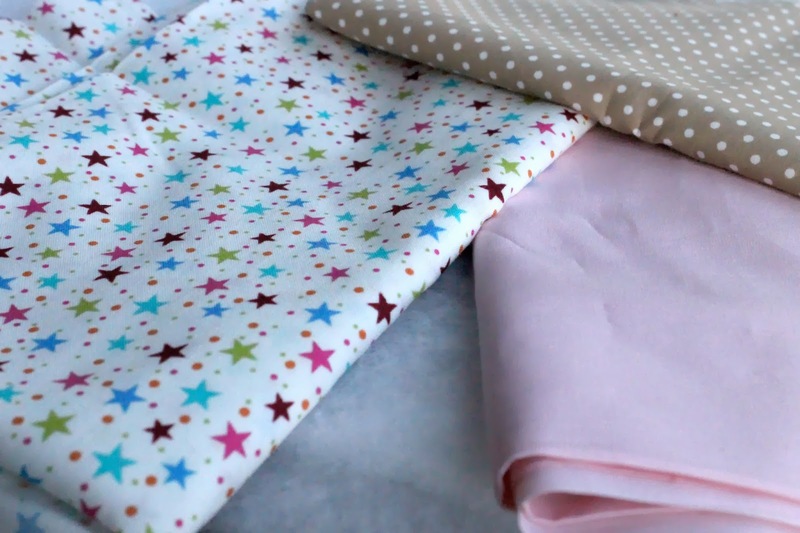 I like patterns and am not afraid to mix and match so it will be the brown spotty cotton for the cake part, the starry fabric (oh, I do love this) for the icing part and pale pink for the backing. 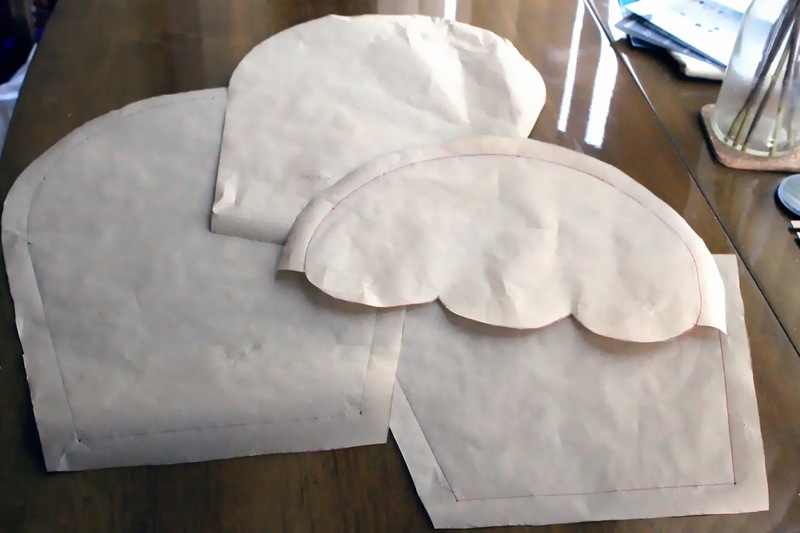 I also purchased some medium-weight wadding as I had visions for making the front of the cushion quilted. I used fusible webbing to stick the topping onto the bottom of the cake which worked a lot better than expected. Then, with the wadding on the reverse I used a shell-like stitch to go around the bottom edge of the 'icing' using pale pink cotton. 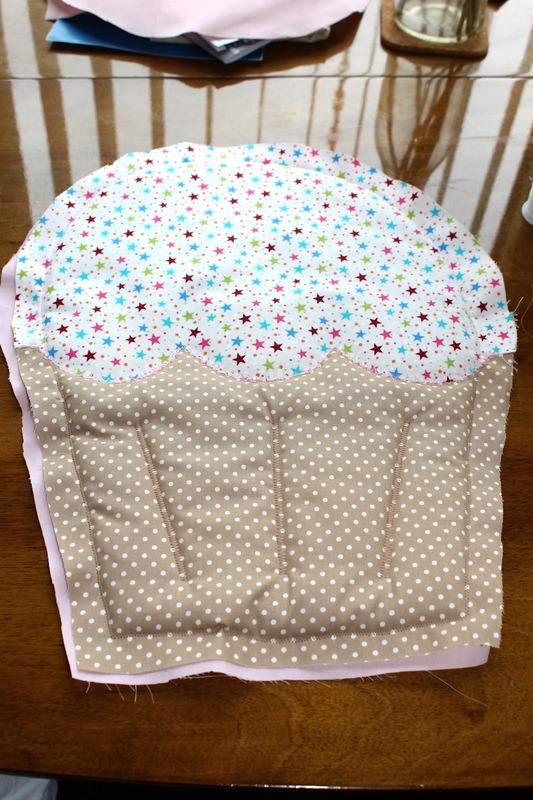 I then zigzag stitched some lines on the base to give more texture before sewing around the entire cupcake shape. I then sewed the backing on, right sides together, turned back out the right way and stuffed! Voila! The cherry is a quilted flat circle in red cotton with some free-hand machine embroidery. I hope she loves it as much as I loved making it! Whilst I am thrilled that it came out so well for my first attempt at sewing in years I am going to play with the shape a bit and try and give it more of a 'muffin top'. Wish me luck! Heading over to Handmade Harbour today for the first time in 2014! Thanks Helen. I get bored easily so like to mix it up a bit! 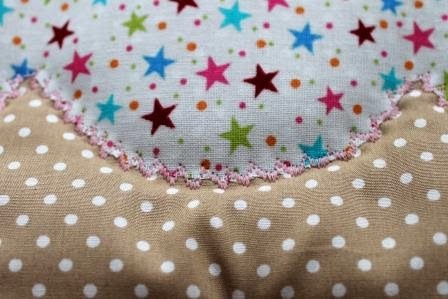 Fabulous cushion, I also adore that starry fabric. I'm sure she will love it. Thanks very much Lucy. I think I'm going to have to get some more of that fabric! This cupcake is adorable. 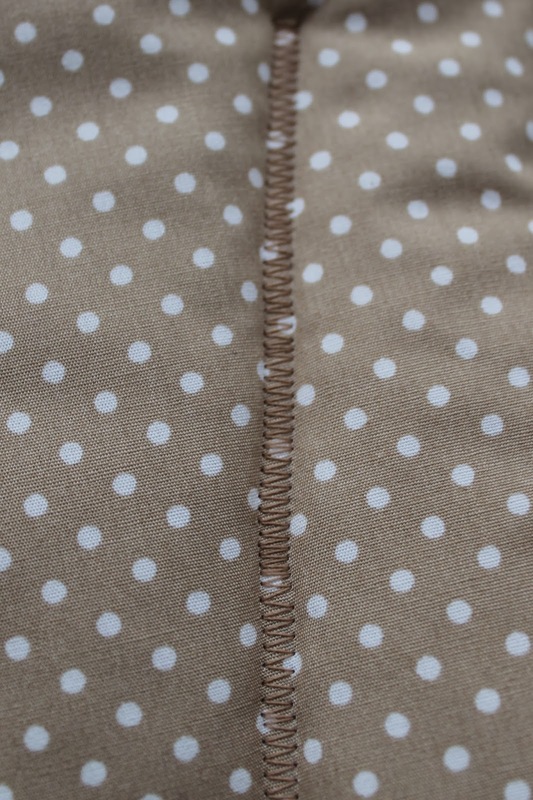 I love the special stitches your new machine can make. I'm sure it will be a treasured gift.